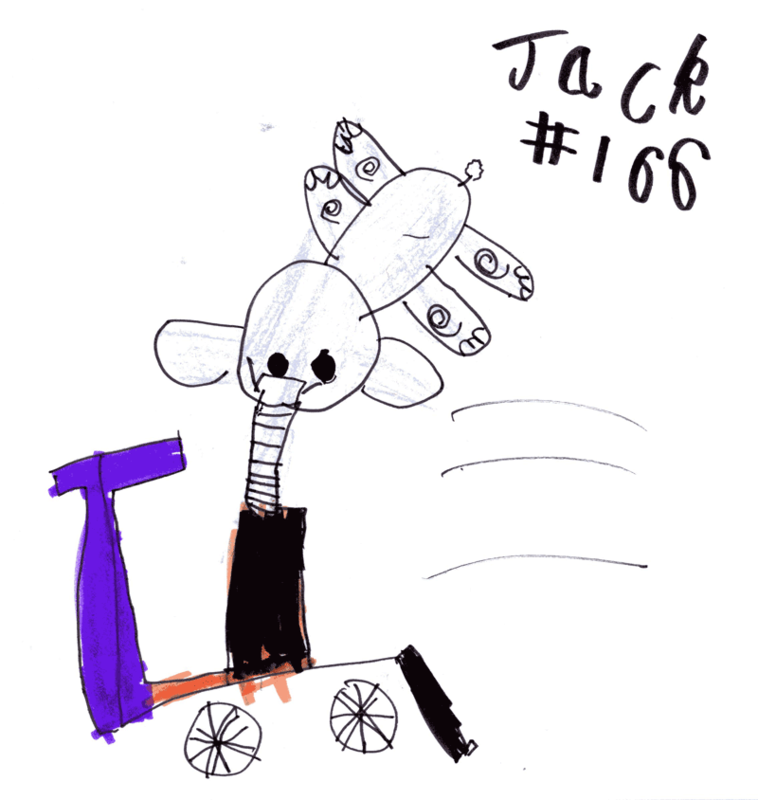 Finally got round to collating all of the suggestions from our wee competition on Monday. This was when we opened up the lines for 1 (and 1 only) drawing request to celebrate our 3000th Facebook Fan. Here are all the suggestions (we have trimmed out the messages and just left the requests). 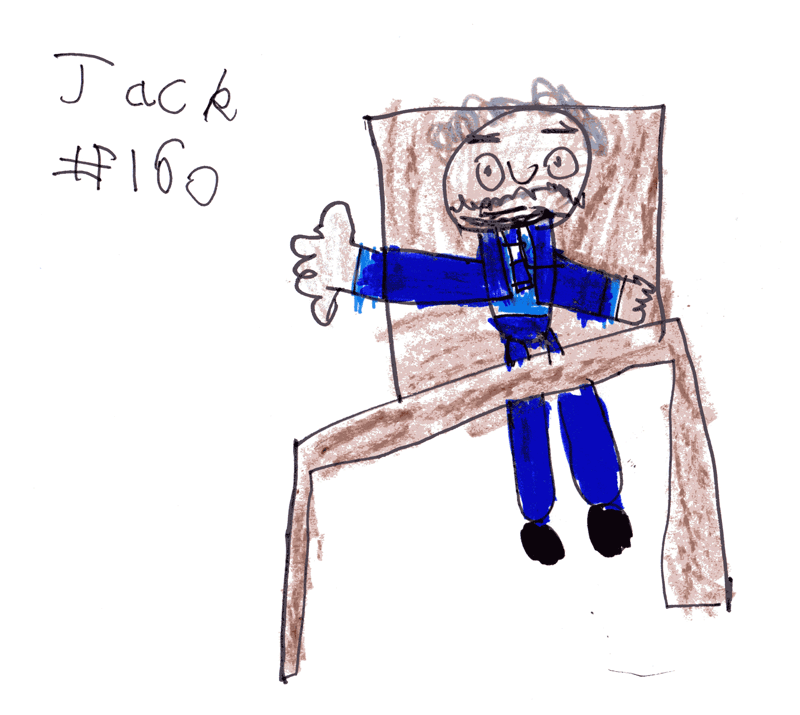 Jack will choose over the next few days and it will be drawn. We won't reveal who wins till its done and scanned. Please ping us if there is a typo / mistake or we somehow managed to miss you out. Sick kids leaving hospital when they are better and going home thanks to the doctors, nurses and YOU! Lego man dressed as a hedgehog OR a picture of a hedgehog drawing a picture of you! Jack and his Daddy doing their “live” Facebook chat on Saturday night! A giraffe, a pig and a robot having a battle over a massive cake! Draw a horse with a shoe on it’s head! 2 owls, one girl with a lovely flower on it’s head and a boy with a green bow tie! The Queen sitting with her feet up watching the telly and picking her nose! 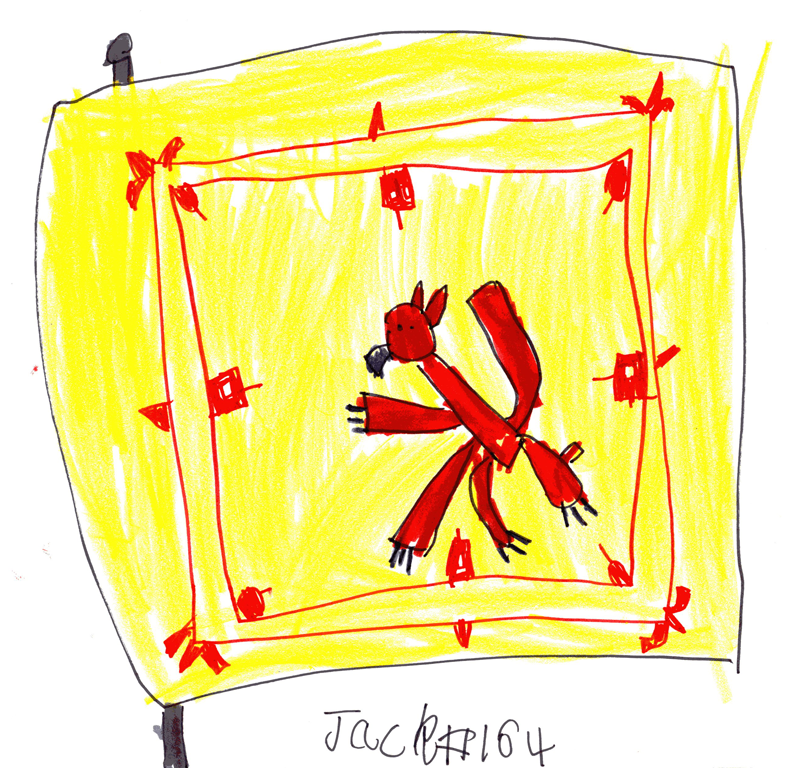 Daddy knew this flag as The Lion Rampant but a little search on Wikipedia reveals that its actual title is The Royal Standard of Scotland, also known as the Banner of the King of Scots, or more commonly the Lion Rampant of Scotland. Every picture we learn something new. Hope you like it!